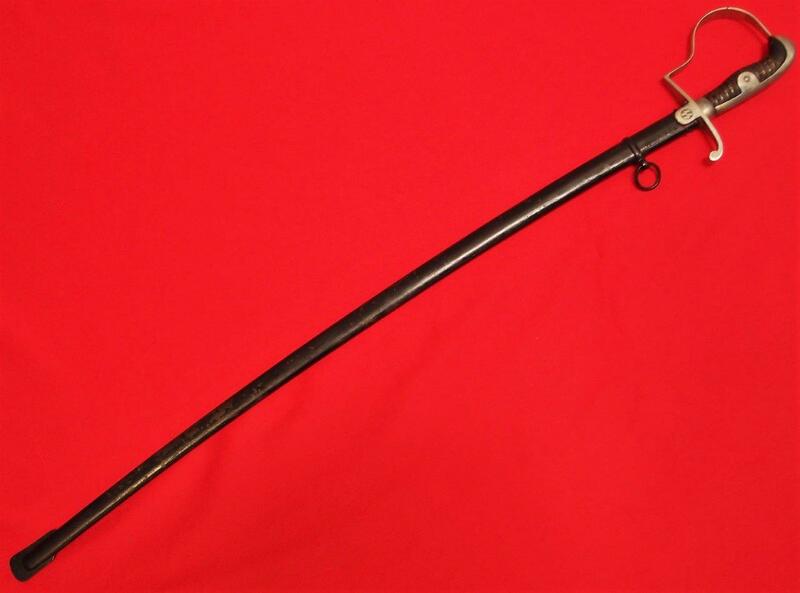 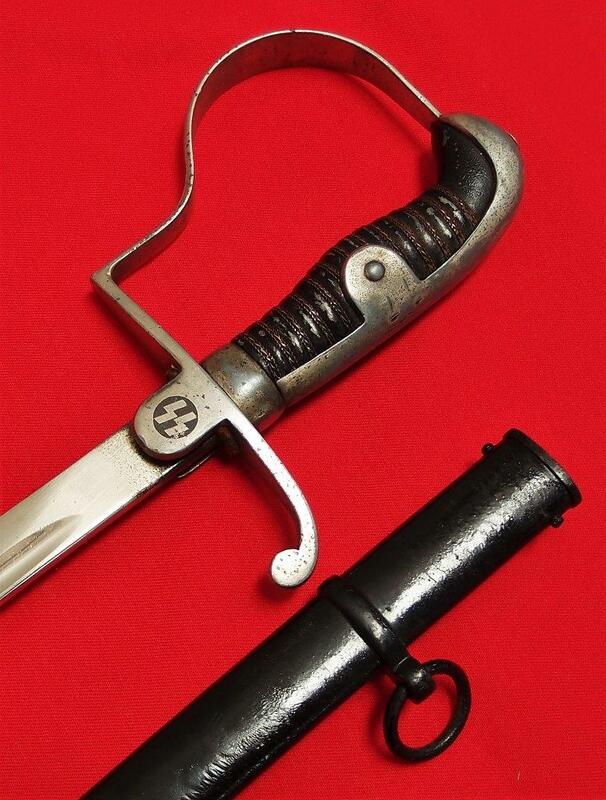 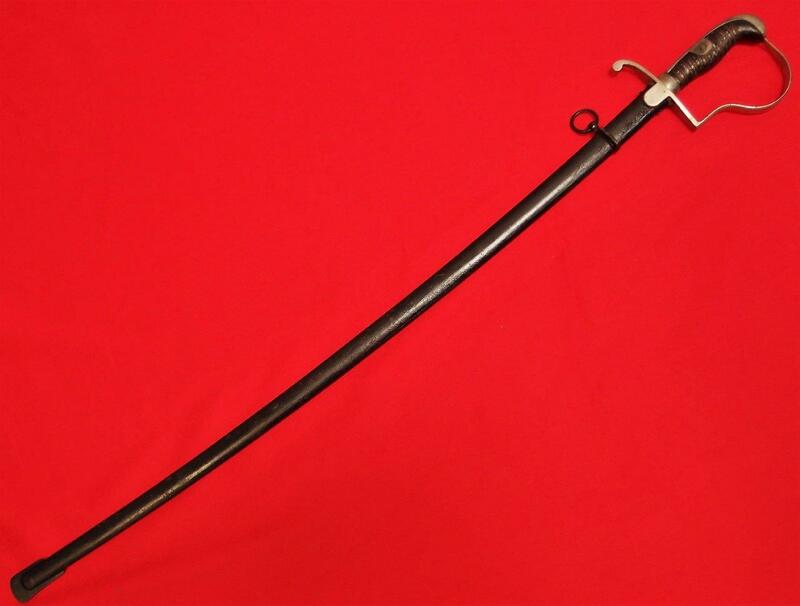 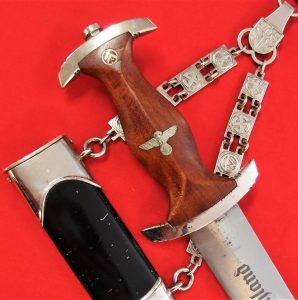 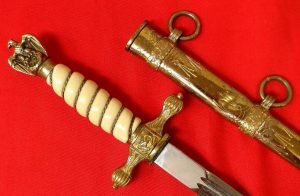 Offered is an exceptionally rare SS officer candidates sword. 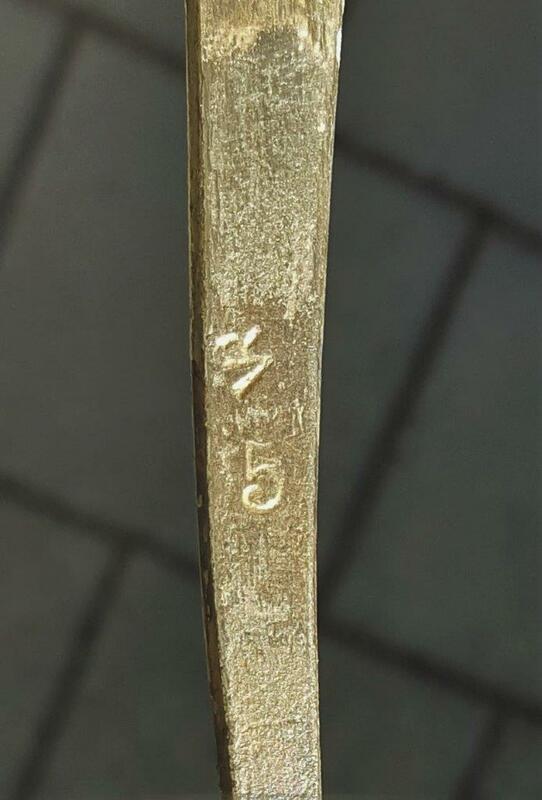 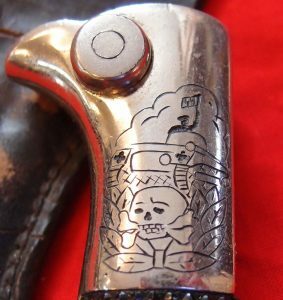 Nickel plated hilt shows some loss of plating, SS runes professionally acid etched into langet – still crisp and clear, hilt also retains original leather buffer pad. 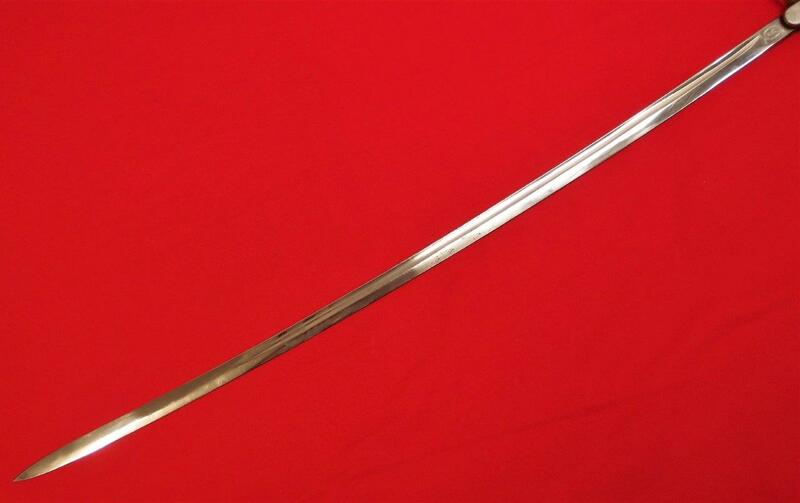 Alloy grip retains over 80% of its original coating and brass binding wire are intact. 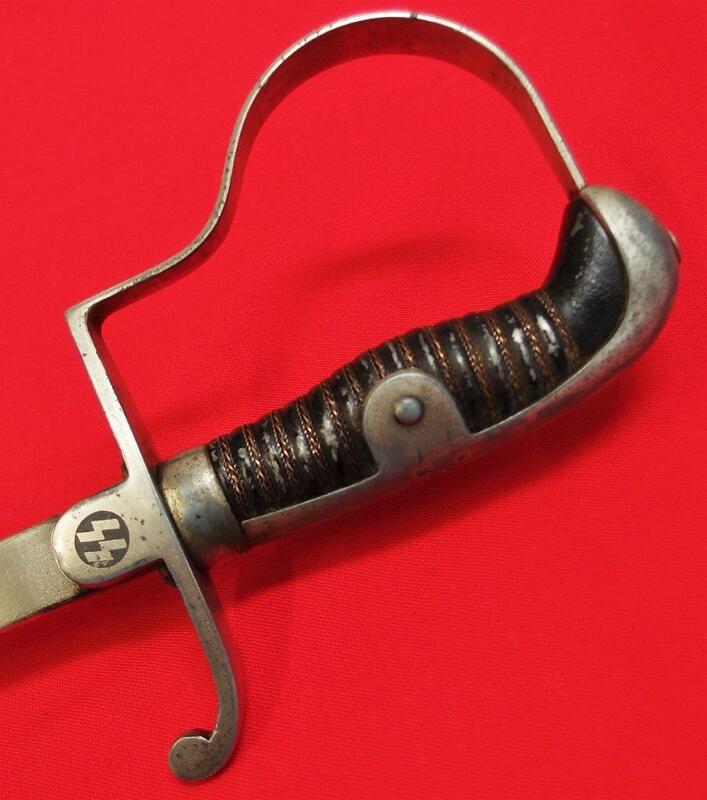 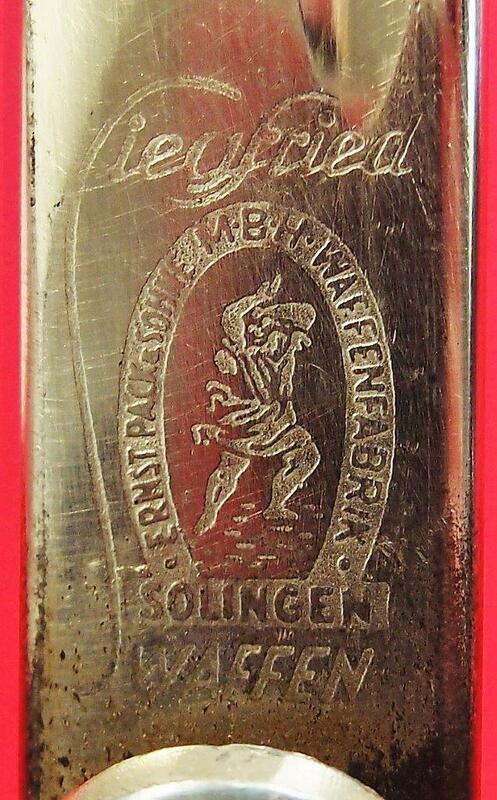 Blade measures 79 cm and is maker marked for Ernst Pack & Sohne GmbH, Solingen. 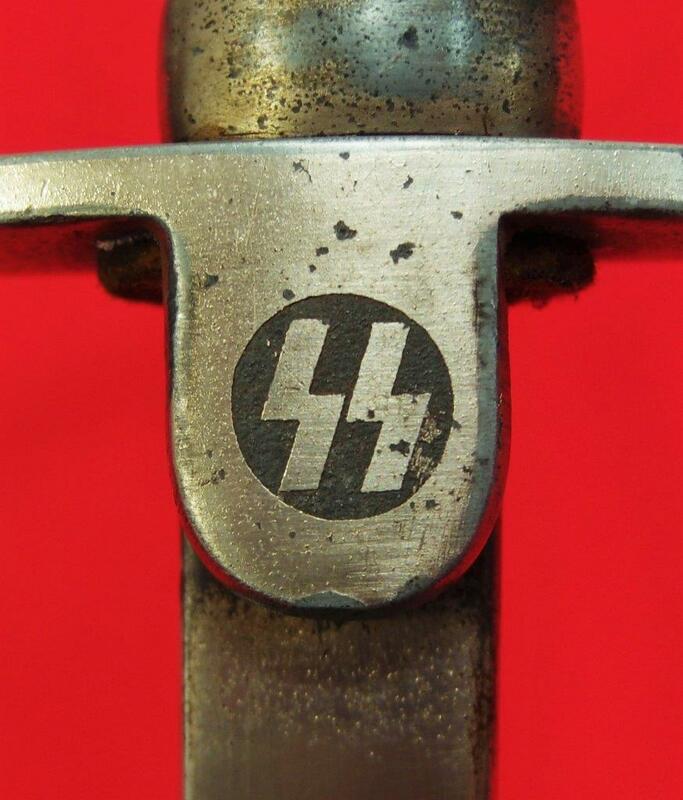 Blade also bears the acid etched motto Meine Ehre Heisst Treue (My Honor is Loyalty), being identical to the SS daggers, blade shows some small areas of corrosion. 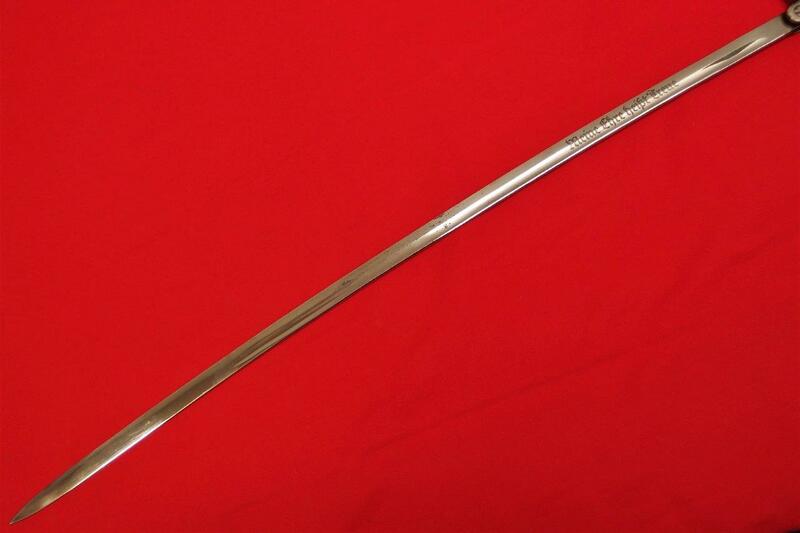 Steel scabbard is dent free, however shows signs of being repainted in the past. 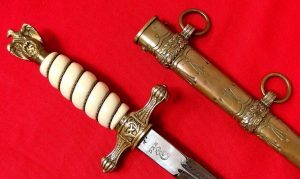 A beautiful example of this type of sword, made even better by having been personalized with etchings by the original recipient. 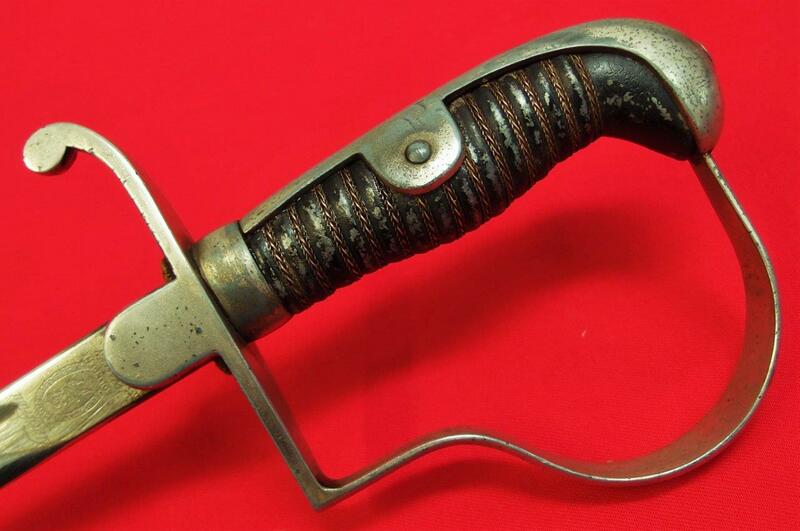 You simply do not see these for sale and this would make an excellent investment piece.